Most of us are looking for fun and easy ways to earn a little extra cash. Whether it’s to take care of our families or our own basic needs, or simply to have a little spending money on the side, there are just a handful of good websites out there that anyone can use to reach their side-income goals. EarningStation is one of them. It is free and easy for anyone to join and begin earning immediately. This guide will walk you through all the ins and outs of the platform, introducing you to what’s possible and helping you to navigate the best experience as you use this savings and earnings tool. Earning Station is one of just a handful of sites that offer a plethora of ways to earn a little extra money online by participating in activities that help research marketers find the answers they need to improve their products and services. Put simply, the site explains that it is owned by massfinity, an online marketing company that works to make it easy for advertisers, publishers and consumers to connect with high quality offers. 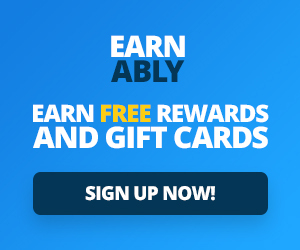 It has a super-easy navigation and a plethora of ways to earn StationDollars (SDs), which can then be redeemed for gift cards to your favorite retailers, including BestBuy, Amazon, Chili’s, Babies R Us, Macy’s, Starbucks and many, many more. Ways to earn include taking surveys, watching online videos, taking advantage of great offers, redeeming coupons, searching for codes to redeem and more. How do I earn on EarningStation? The offers page is a great place to score lots of freebies and great deals, all while earning StationDollars that can then be redeemed for gift cards. For example, today, under the “Express Deals” tab, there are deals to save up to 80% on magazine subscriptions (these are great for gifts! ), to take surveys to earn StationDollars, to enter a sweepstake to earn a year’s worth of diapers, and many, many other offers. Then, underneath each deal, it tells you how many StationDollars you will receive by redeeming the offer. Now, to begin earning through surveys, you actually have to participate in one initial survey that will then determine which other surveys you qualify for. To begin, log in and click on your survey tab along the top of your screen. Once you’ve clicked on the tab, you will be directed to a page with a list of surveys. But, you will only be able to clearly see one survey at the top of the list, while all other surveys are faded out. You have to take this initial survey to unlock all the rest. The survey is easy to take and just asks you some general questions about you. It is important here, too, that you answer the survey questions as accurately as you can. If you do not, when your other surveys are finally unlocked, you may find that you aren’t qualified to take many of them. 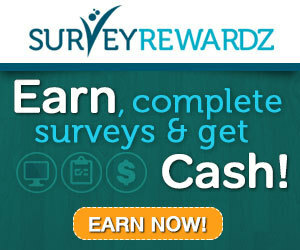 Being unqualified to take the surveys you’re offered will make it harder for you to earn on the site because you can’t earn StationDollars through them.